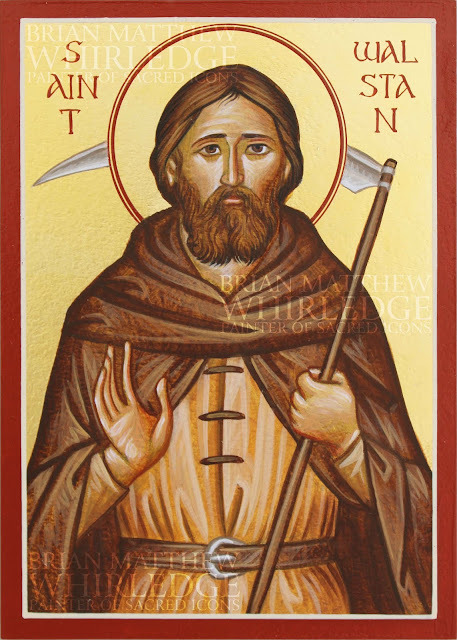 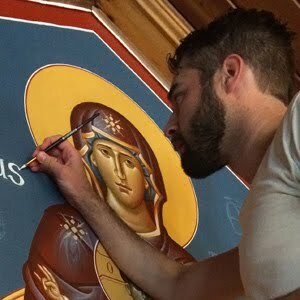 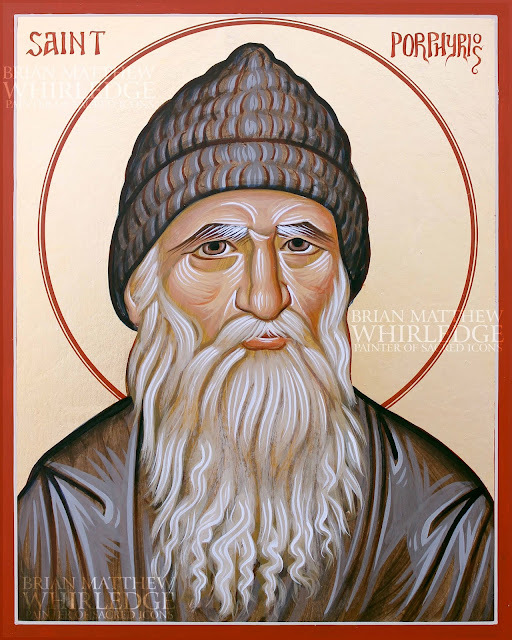 This icon was painted for a close friend whose patron is Saint John the Theologian. 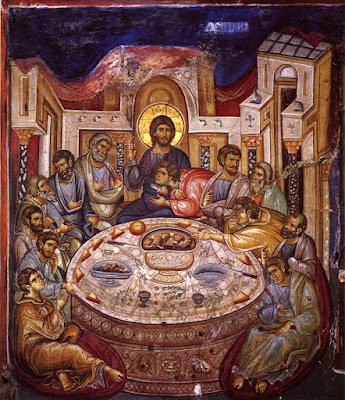 His favorite passage in the Gospels is the Mystical Supper, showing the intimate friendship and love between Christ and His disciple, John. 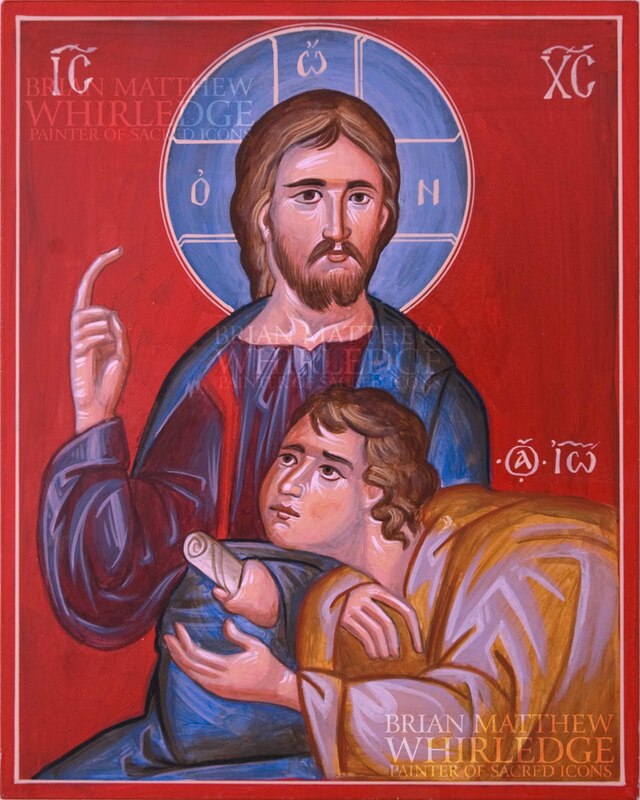 The rest of the disciples abandoned Christ; of the twelve, only St. John remained by Christ's side when He was on the Cross. 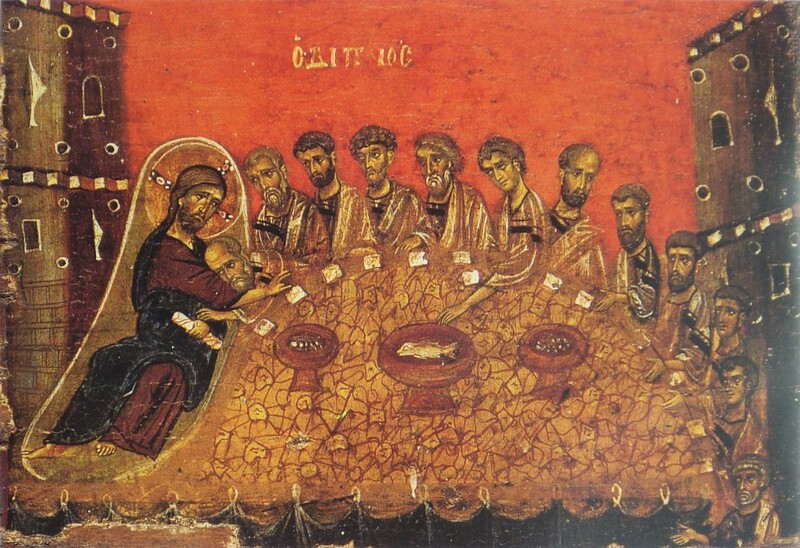 In composition, this icon was based on the fourteenth-century fresco of the Mystical Supper from Vatopedi Monastery on Mount Athos. The Mystical Supper, Fresco from Vatopedi, XIV c.
The colors come from a series of eleventh century panel icons, originally from Vatopedi Monastery. 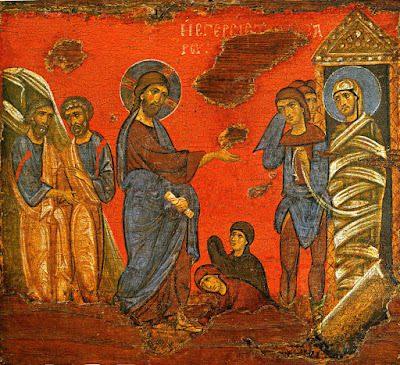 I was inspired by the brilliant colors of "The Raising of Lazarus," which I've been able to see in person several times at the Byzantine Christian Museum in Athens and the Art Institute of Chicago. 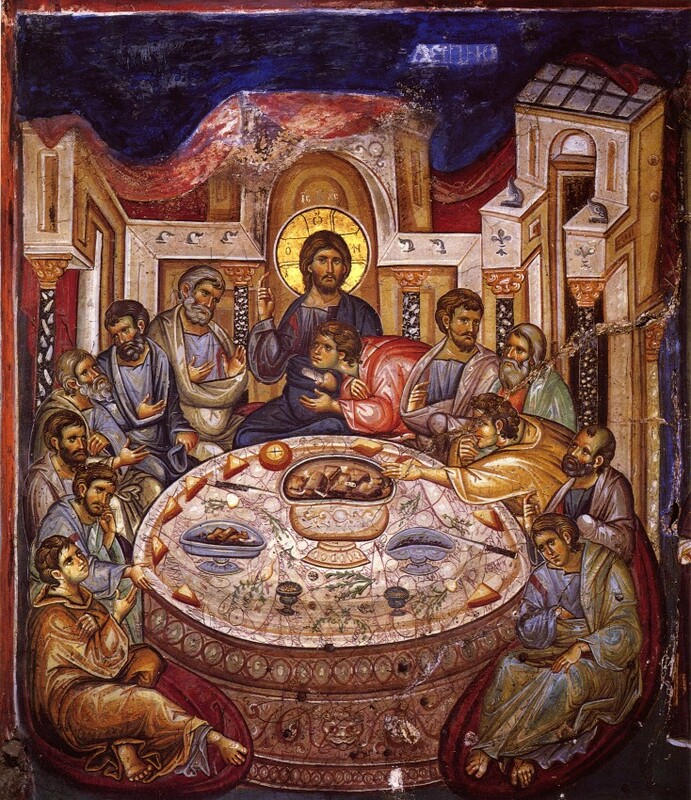 The Mystical Supper, Panel Icon from Vatopedi, XII c.
The Raising of Lazarus, Panel Icon from Vatopedi, XII c.